Sheffield’s Hydra Creative has begun to invest the £100k it received through the Funding Circle and Finance Yorkshire. 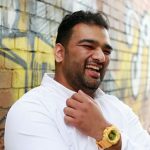 The digital agency has appointed Nishaan Patel as its digital marketing manager. Patel joins from Google, where he was an agency account manager for more than 3 years. His role will be to support its pay per click and Google AdWords clients. Another new recruit is Holly Southward who joins its marketing team. The company has also announced the promotion of Nathan Richards the role of operations director. “A key part of our growth plan was to develop and expand our team and so we’re thrilled to be welcoming both Nishaan and Holly to the team. Both have joined at an exciting time for Hydra as we look towards further growth,” said Gemma Daniels, client services director.